We, as in professional motorsport photographer Steve Theodorou and I, made our way to Spa 24h race on 26th July 2018. Unfortunately due to the extremely hot weather and reduced carriages used on the Channel Tunnel, there were massive delays. Although we arrived at 2pm for a 2.50pm train we did not get to board our train till 9pm. We eventually arrived at our hotel in Aachen, Germany at approx 2.30am (over 12 hours for one train and a drive of 220 miles). The promise of a nice steak meal at Eupen was in fact a couple of microwaved Rustlers burgers (that’s microwaved burgers to the uninitiated). Not ideal but at 1am, hungry and tired, it was a solution. Friday, after just three hours sleep we turned up bright and early at Spa racetrack – as with most race day ticketing our tickets were not where they were meant to be, so it took approximately 1.5 hours to sort that out. This is to be expected and it most certainly helped that the two young ladies at the Media Accreditation were a sight to behold after having so little sleep. Finally we entered the media centre and jostled for space amongst the throng of photographers and journalists (I was officially a journalist, I liked the title so I may use that in the future). We settled down to plan the photoshoots for the day ahead. Steve, ever the professional, was eager to get out and start searching for the best places on the track to understand how the light would look in various parts of the circuit as the sun moved from dusk to dawn. It was this sort of preparation that I greatly appreciated as in Steve’s words – “We have one stab at this tomorrow and I want to get it right”. 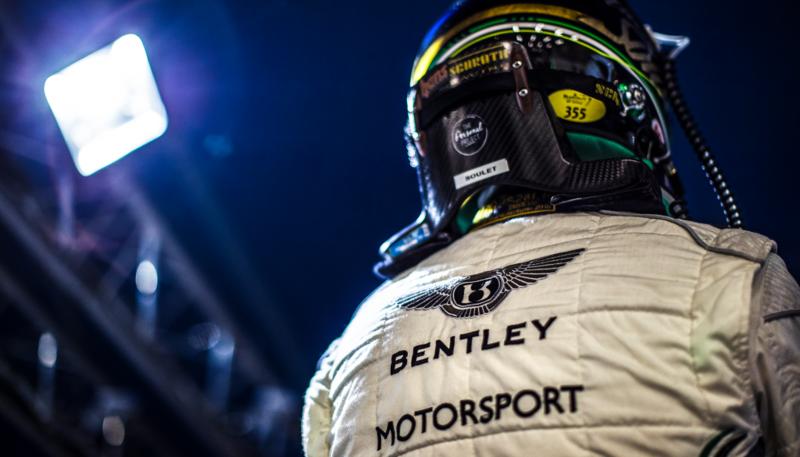 We were the guests of Bentley M-Sport – the team and everyone associated could not have been better hosts. 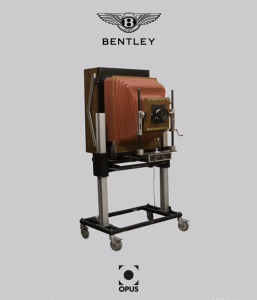 People were told about the Bentley Centenary project and some draft spreads were shown as people found it incredulous that a book on Bentley will weigh 23 Kilos. So the first day, on my side, was to meet and greet the great and good at Bentley M-Sport. Also a special ‘thank you’ to the three wonderful ladies at Pirelli who upon hearing of the Opus ensured that we got the best access to the operations of Pirelli. Rightly so, they are very proud of the set-up and I ensured that I followed the process of used Bentley tyres going down the production line and how the new tyres are fitted. Trust me, I have simplified the process but what they do is ground-breaking in terms of the methodology and Pirelli were keen that I captured this. So much so, that we managed to have a photosession with the Chief Technical Officer and he insisted that we make contact to follow-up with any further questions on how Pirelli and Bentley M-Sport work together. That evening the promised steak meal from evening before finally arrived. Eupen, for Steve and I, had become a tradition now and it especially helped that the owner was Greek, as Steve is, and thus free glasses of beer are offered. But that evening the owner was not in, so Steve was rationed to just two beers. Next morning’s wake up call was meant to be at 5.40am and to be in the car for 6.15am. I could drop Steve to collect his track ticket and more importantly his pit lane tabard (as time slots had to be reserved). It didn’t help when I woke up at 6.15am. So with a philosophy of always having a plan B – got changed, drove Steve to the track for 7.15am, drove back to the hotel and went back to sleep!!! I later arrived at the media centre at 10.30am and met an irate Steve, as tabards that were due to be handed out 7.30am were only going to be distributed at 10am. I got extra sleep and still didn’t really miss anything. Has to be said the previous day’s delay and then driving till 2.30am all caught up with me. Saturday was a full on day of photography for the both of us, I took my trusty Nikon to take personnel and pit garage shots of the cars being prepared. The access I had was incredible. Not once was I stopped from taking a shot – I was opening doors and taking shots of mechanical parts totally unrestricted. Team Bentley M-Sport were brilliant, everyone ensured to mention to help myself to food and drinks that was reserved for the team, in essence for the weekend I was one of the team. We took some portrait shots of Andy Soucek one of the Bentley drivers followed by a quick Q&A captured on video and still. Once again Andy, ever the professional, made sure that we too were happy with the results. Saturday night was spent by me sleeping in the media centre and going back to my student days. That being, when I was tired in the library I would gather three chairs together and use them as a bed, that trick came in useful for the mock-up bed. But at the age of 47 that will be the last time I do that. Steve slept sitting up and after catching 40 winks would be back on the track. The climate and environment reminds me of Hong Kong. It was hot outside and because of the air conditioning it was freezing in the media centre. The race itself was a learning curve for Bentley M-Sport as at one stage they were leading but due to an amateur racer pulling out to avoid another car, it meant the leading Bentley crashed and was damaged beyond repair. But the potential was there and witnessed, now just the missing ingredient of luck was to be found. 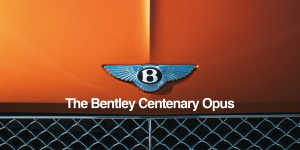 Spa weekend and the incredible access can be seen within one of the chapters of the Bentley Centenary Opus.